Have you ever had a bad dream, and wished there was a way to stop them? My mom bought me a dream catcher once when I was a little girl and told me that it would catch all my bad dreams so I wouldn't be afraid. Obviously this didn't work. I mean how was a circle with a bunch of strings and beads supposed to catch my bad dreams? It's unrealistic, but it helps little kids sleep all the time. The legend of the dream catcher is one of the oldest Native American legends. There are many different sites that have a different story. The one I found the most went like this. It begins with an elder spiritual leader who had a vision about Iktomi a spider. The spider spun a web while talking to the elder about the life cycle. This web included a feather, horse hair, beads, and willow hoop. After the spider was done he gave the finished product to the elder and told him that this would help people reach their goals by being led by good spirits. The bad ones would be trapped in the web. This was passed on to children who would sleep with them above their heads so their bad dreams would be caught. Another legend talks about the Ojibway people and that they would tie sinew strands in a web around a small round frame. 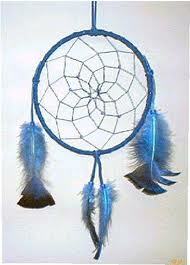 But no matter the origins, the purpose of the dream catcher was still the same, to keep the bad dreams away. I had one most of my life, but I don't think it did anything. I still have bad dreams. Other people swear by them. So it's up to you whether you believe in them or not.